I fall firmly in the camp that believes the recent killings of unarmed black men by law enforcement is only a phenomenon right now because it can't be ignored. With respect to this issue, the only difference between the past 100 years and now is that there are smart phones where you can start recording video in a matter of seconds now. Social media sites allow people to spread the word quickly preventing the police, the government, media and the ruling class to silence the truth by turning a blind eye or with willful ignorance. Knowing the history of this country is vital to understanding the context for recent cases where police kill unarmed black people and why it matters. Police killing unarmed people from any other demographic is statistically incomparable and we all know the truth that the police will get away without punishment. RIP Freddie Gray. 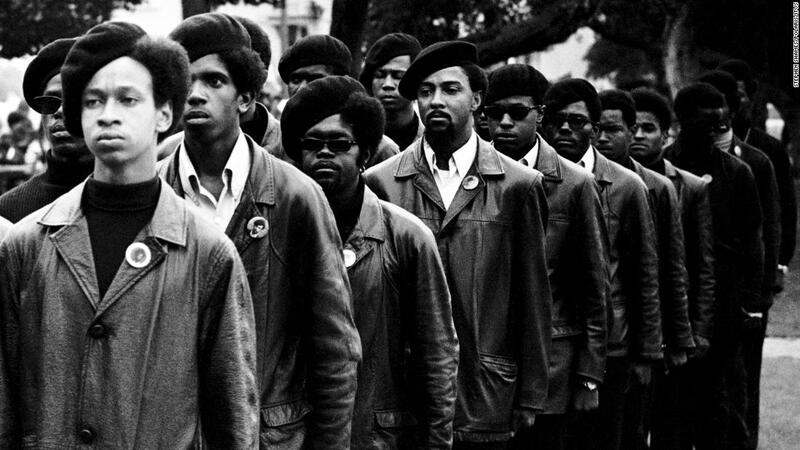 The Black Panther Party for Self Defense seems to be conceptually more relevant right now than ever before. Widespread police brutality should make people realize the motivation for the Black Panther Party for Self Defense existing in the first place was justified. The point of posting this isn't to make people angry and react with violence because that would only reinforce stereotypes already dominating the discussions about race in America. Educating ourselves with information makes us less likely to react with violence. The objective of writing this is to level the ground and humanize the psychology of the Black Panther Party for Self Defense and only scratch the surface of why so many people believed it was necessary to create thie Black Panther Party in the first place. It will put police brutality and socialism in perspective for 2016 and finally, make you think about what it meant to be black in America only 50 years ago (within my parents lifetime) in comparison to 2016. Additionally, the goal of this entry is to point out that black people legitimately have a right to be angry and point out injustice because regardless of everything, there is nothing wrong with saying "black lives matter." The Black Panther Party for Self Defense was established to limit police brutality in Oakland, California by monitoring police interactions in black neighborhoods th armed patrols of citizens. In the United States of the 1950's and 1960's, black people voluntarily subjected ourselves to violence in sit-ins for being in areas that black people were not allowed to be because segregation was legal. Black people were subjected to excessive force for refusing to obey Jim Crow laws. Black people were being killed by police officers for speaking out against the realities of the time. The difference between them and now is that there was no social media infrastructure t gtp the reality of the time. When a community is threatened repeatedly and murdered with impunity by police officers across the country, it is inevitable that they will at least stand behind the Second Amendment to the Constitution of the United States of America to protect themselves if not react violently. For the sake of this blog entry, the unfortunate part of the Second Amendment is that black people were not considered a "person" when it was created because it may have been written differently if these same rights were being considered to be available to black people. The media at large and the Donald Trump movement mindset were quick to twist retaliation of individuals to police into a race war when there was no legitimate reason for it. They fail to acknowledge that black people have largely responded with nonviolent activism, creating organizations seeking self protection in the face of aggression, murder and violence. There are no major civil rights organizations that advocate for violence but there are some that believe it may be necessary when it's needed for self defense. In comparison to the Black Panther Party for Self Defense, it's should be clear that the #blacklivesmatter movement exists as a non-violent organization of protesters that speak out about police brutality and a legal system that does not work equally for all skin tones. The Black Lives Matter movement is worlds away from the Black Panther Party for Self Defense because at no point does the BLM movement posture itself as anything other than standing in defiance to the power structure of the country stating simply "black lives matter". It's a social conscience movement imploring for the country acknowledge that black people are being killed at disproportionate rates AND systematically, there is NO legal action brought against the police officers that kill unarmed black people. The result is that the American tradition of devaluing black life continues. It's ironic that black civil rights leaders were assassinated and almost all of them were feared to be socialists, when the only group that remotely appeared to be socialist was the Black Party Panther Party for Self Defense. In 2016, Bernie Sanders supporters basically stand behind a socialist platform in Democratic packaging, but there is not the same level of fear and I think people should really question why that is. When you compare the Bernie platform against the Black Panther's platform, there aren't many differences beyond the emphasis on the Second Amendment which was was a direct response to police brutality. The fear of black people turning violent is not new, but when you look at history, black violence came from major events like assassinations, police brutality, etc. I personally believe the paranoia of black violence is tied back to history and potentially a subconscious sense of guilt over slavery. The Black Panther Party started free breakfast programs and health clinics for black communities to directly address common needs through community survival programs. Looking back at these programs, if there were no parallel activities by the Panthers, they would be similar to community church outreach programs. The reality of our history is that the leaders of the Black Panther Party were treated the same as all other black leaders of the time. They were demonized as socialists, connecting Communist revolutions across the world to the problems at home. Leaders were framed, monitored, harassed and consistently arrested. Political leaders such as Malcolm X, Martin Luther King, Huey Newton and were treated similar to any average black person except when they were put in a position to make real change, they were assassinated. While there are certain points of the platform are more difficult to achieve, the platform addresses the areas where institutional racism directly affects black people. The solution may not be to release all black people from the prison system, but it definitely points out the fact that racist police practices, unfair jury systems, unequal education systems, inadequate access to higher education, health care and employment plagues black communities across the country and are all intertwined. Adding these factors together is typically where people recoil and start to point out how black people should take responsibility for our current reality when the confluence of factors clearly limit the mobility of the black community. The truth is that all of these factors together highlight clearly that the system is organized in a way that subdues the political power of black people and prevents black people from the progress so many haven't lost sight of. The Black Panther platform is something progressive Democrats seem to believe in, but when the Black Panther Party request it for black people specifically, it's threatening to white people. Only when it's stripped away from being to black people specifically does it seem to be legitimate movement representing people's needs. In comparison, Bernie Sanders supporters have likely never experienced the type of challenges black people have faced over the generations. It doesn't mean that we can't find some common ground but it should at least mean that we are able to acknowledge facts of history and let common interests override the programmed racism of our history. Malcolm X learned this after he left the Nation of Islam, Martin Luther King Jr. understood this and James Baldwin lived this, but it does not erase the anger that our racist history reminds us of. Ignoring it leads to nowhere and racism has succeeded in keeping people with different backgrounds segregated and at odds with each other. We can chose to join based on common interests by including all people, including black people into the actual platform of the progressive platform or let the Trump campaigns of the world use our anger to unite is in a way that puts everyone at each other's throats. Standing in opposition to the wrongs of the world is a right of ours and it shouldn't be limited to free speech zones. The only organization I see doing anything that remotely resembles making a political stand against something that's affecting the quality of black peoples lives in 2016.